I have an MSI x99 motherboard with a Samsung M.2 1TB stick with Windows 10 installed on it. After I installed an updated nvidia driver chrome looked strange so I rebooted and got an inaccessible boot device error. I've researched online for ways to fix it but so far nothing has worked. In general, what I've seen online is booting off the Windows 10 installation media and using diskpart and bootrec in the command prompt. There are a couple variations of the commands out there. Most involve assigning a drive letter to a particular volume then running bootrec on it. 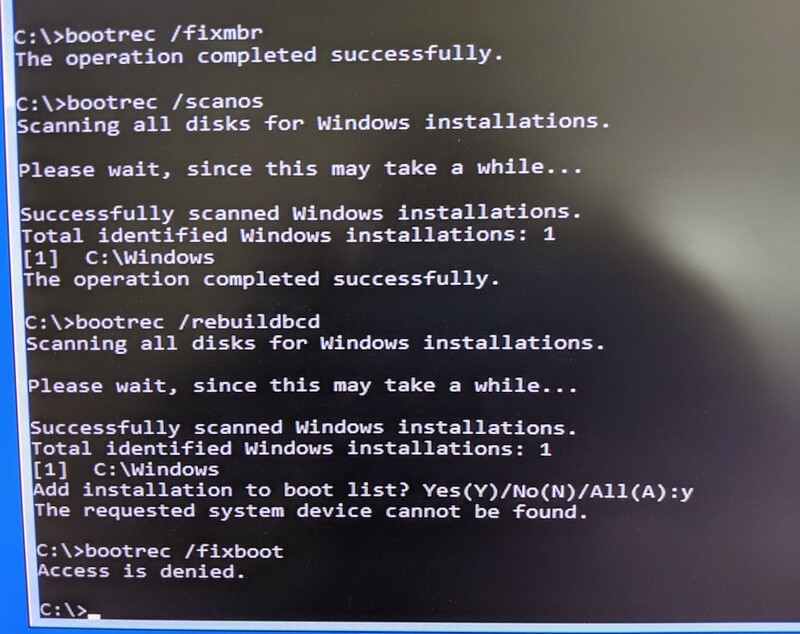 I'm getting access denied from bootrec /fixboot and the request system device cannot be found with bootrec /rebuildbcd. Description - Improve Windows10 1809 stability. Not the answer you're looking for? 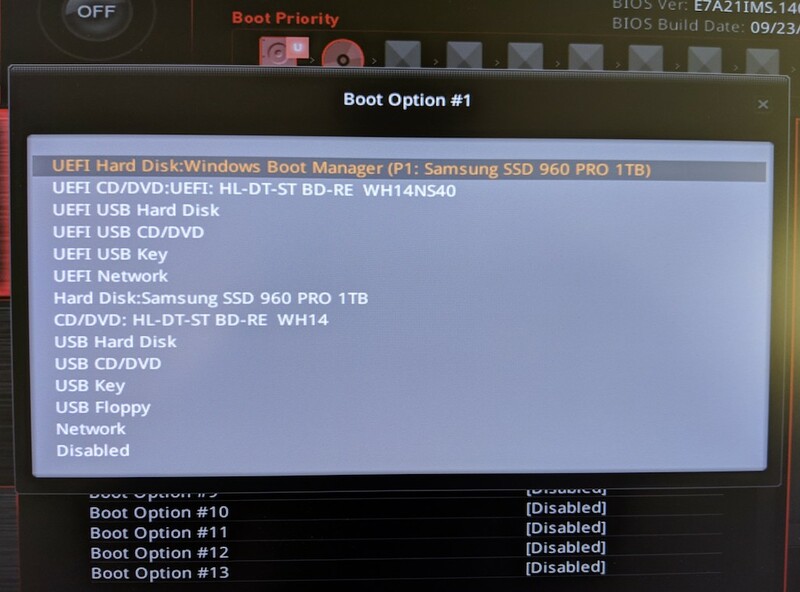 Browse other questions tagged boot windows-10 uefi or ask your own question. How can I rebuild the Windows boot files? Can I replace boot files with those of older version for installed/installation of windows 10?